The Caddo Science Department is a division of the Academic Affairs Department for Caddo Parish Schools. We are here to support and help meet the needs of the teachers and students of Caddo Parish. K. Renae Pullen has been an educator in Caddo for over 18 years. She has taught at Riverside Elementary School and Herndon Magnet School. 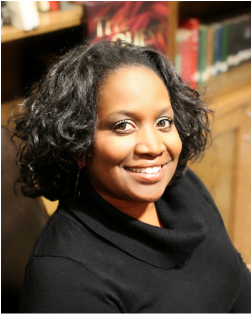 Ms. Pullen also has had the wonderful opportunity to teach undergraduate and graduate students as an adjunct professor for Louisiana Tech University and Louisiana State University in Shreveport. Ms. Pullen has a B.A. in Elementary Education from Northwestern State University, a M.Ed. in educational leadership from Louisiana State University in Shreveport, and she is certified as a Teacher Leader by the State of Louisiana. Ms. Pullen believes that professional development and service are essential components of an effective educator. Besides being dedicated to growing as an educator through professional learning opportunities, Ms. Pullen has served on several local, state, and national committees, presented at numerous workshops and conferences, and she currently serves as a member of the Teachers’ Advisory Council for the National Academies of Sciences. Ms. Pullen has received numerous awards including the Wal-Mart Local Teacher of the Year award in 2007, Caddo Parish Teacher of the Year in 2006, several grants, a Fund for Teachers fellowship to study creativity and STEM in Spain, a fellowship from the National Endowment for the Humanities to study the American Skyscraper in Chicago, Northwest Louisiana Young Professionals Initiative's 40 Under 40 in 2015, and the Presidential Award for Excellence in Math and Science Teaching. Ms. Pullen is honored to serve the educators and students of this amazing district. Lisa Nance graduated from Louisiana Tech with a Bachelor’s of Science in Medical Technology and quickly decided her love for teaching required her time be spent in the classroom. She began her career in education teaching chemistry and earth science. Mrs. Nance spent 15 years educating children while continuing to grow professionally. During these 15 years, she received her alternative teaching certification from Louisiana Tech, her Masters in Education from Louisiana State University in Shreveport, and her +30 from the University of Louisiana at Monroe. Mrs. Nance spent the last 5 years of her teaching career coordinating the Biotechnology Magnet Academy at Southwood High School. This program grew by leaps and bounds during her tenure growing from 65 total students in the 2010-2011 to over 150 students in the 2015-2016 school year. The success of the Biotech program has been one of the many highlights of Mrs. Nance’s educational career. Mrs. Nance has been happily married for 22 years to her husband Mike. They have four children together. Chandler is 20 and attends Southern Arkansas University where he plays football and is majoring in finance. Chase is 18 and is will major in nursing at ULM starting this fall and Macie and Charlie are 12-year-old twins who are very active in sports. Penny Hogan has been the Administrative Engineer for the science department for over 10 years. Mrs. Hogan manages the science department's day-to-day needs. Mrs. Hogan has twenty-three years of experience in education, and she has enjoyed each year tremendously. She began her career in the Bossier Parish school system before transferring to Caddo. Mrs. Hogan is the proud parent of two children. Her daughter is a graduate of Southern University and lives in Baton Rouge. Her son attends Northwestern State University, and he is currently serving in the National Guard. Mrs. Hogan loves traveling and shopping. She also enjoys coordinating fashion and style events for friends and family. Mrs. Hogan is here to provide you with any support you need.